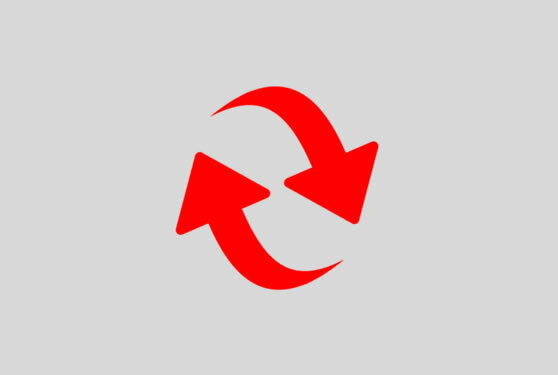 This article explains how to take a return or issuing a refund and how to cancel a sale in the free POS software Hiboutik. First of all, you must locate the initial sale from which the product is returned. You can ask your customer for the receipt (or other details required to find the transaction) to check that the product has been bought in your shop and is returned in the time stated in your store policy for returns. In the initial sale, click on the Return/Exchange button. 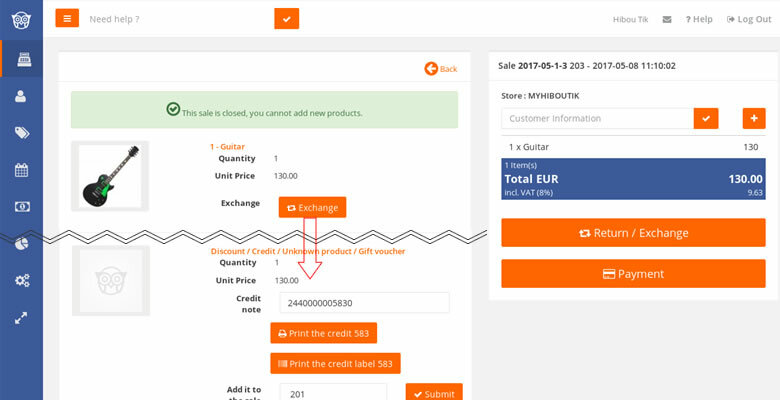 In front of each product, you will find an “Exchange” button. If you click on it, a credit line, at the same value as the product returned, is created. If the product returned is tracked into inventory, it will be automatically returned to stock. You can print the credit and give it to your customer if he wants to use it for a future purchase. The credit has a unique ID number (single use) and you can print its barcode. The credit is linked to the same tax rate as the product returned. The credit can be used immediately in one of your parked sales. You must open a new sale. Scan the credit or type its barcode digits in the “Add a product” field of the sale. The total amount of the sale is negative (because the credit is the negative value of the product returned). 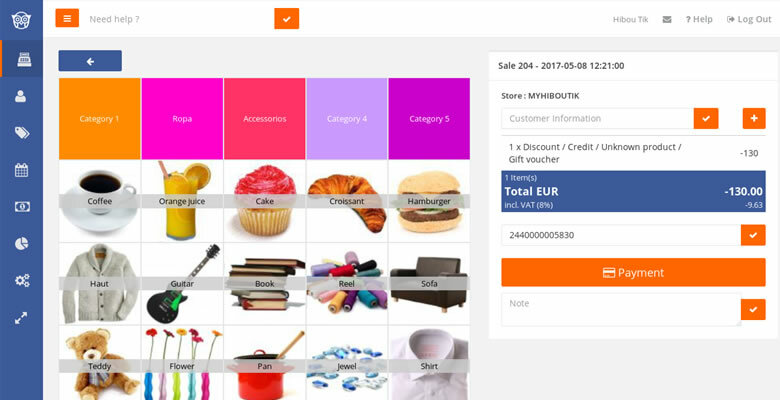 Choose the payment method to refund you customer and close the sale. Scan the credit and add the replacement product to the sale. The total amount of the sale is positive, because the value of the replacement product is higher than the credit. Charge your customer with the price difference and close the sale. The total amount of the sale is negative. – if your customer wants to add others products to consume the total value of the credit, you will have to charge your customer with the price difference and close the sale. 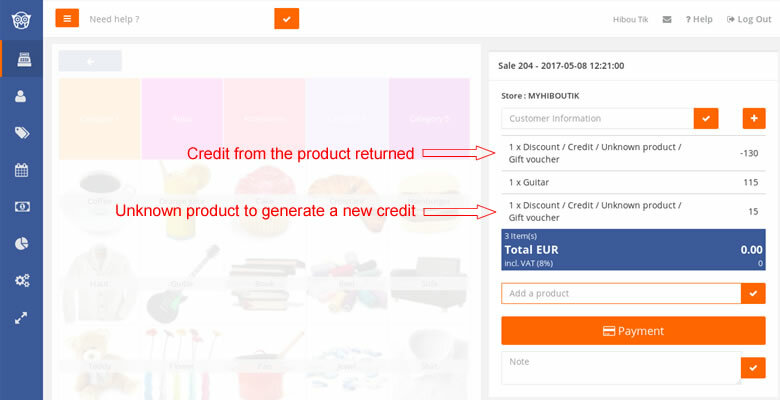 – if the customer wants a refund for the difference, you can close the sale with the payment method used to pay back your customer. 3. proceed to an exchange on the unknown product added at step 1., to issue the remaining credit. For accounting and fiscal purposes, you cannot delete a close sale. But you can create a reverse sale as a counterpart of the close sale. First, complete the exchange process on all the products of the close sale to cancel. Then, scan all the credit notes in a new sale. This new sale is the reverse sale. It has the negative amount of the close sale to delete. Its negative sales tax will balance the positive sales tax of the close sale to cancel. Finally, to balance your finance, the reverse sale will have the same payment type as the initial sale, but its negative amount. If the product returned is damaged, follow the same process of exchange explained above. But, as the product has been returned into stock, you need to remove it from your inventory. So, you need to create a new sale in which you will add the defective product, turn its price at 0 and close the sale. More information in the following article: Managing stock shrinkage. In Customers/Store credit, you will find a state of all credit notes unused. To cancel a credit, add it to a sale, change the credit price at 0 and close the sale.